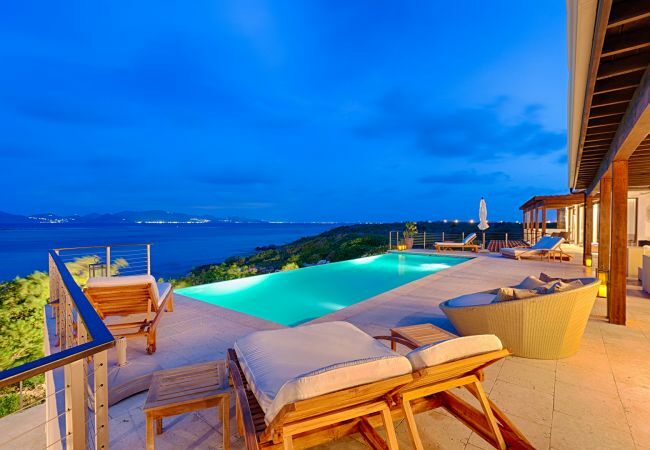 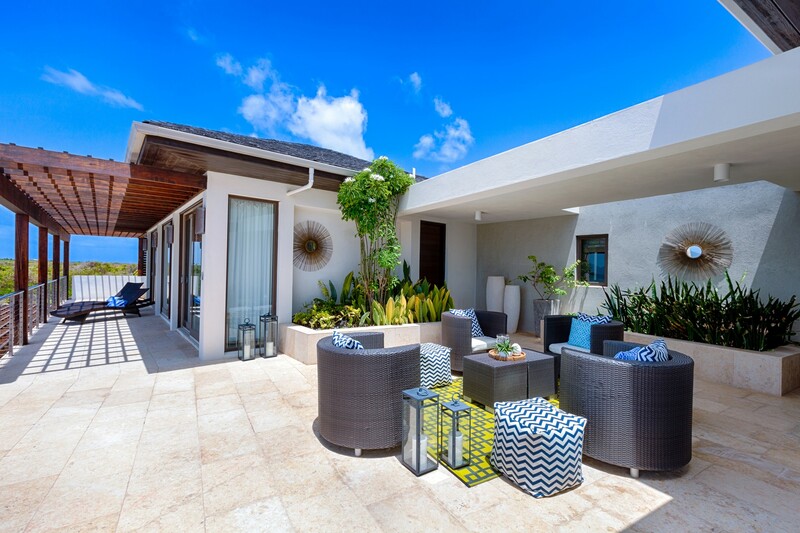 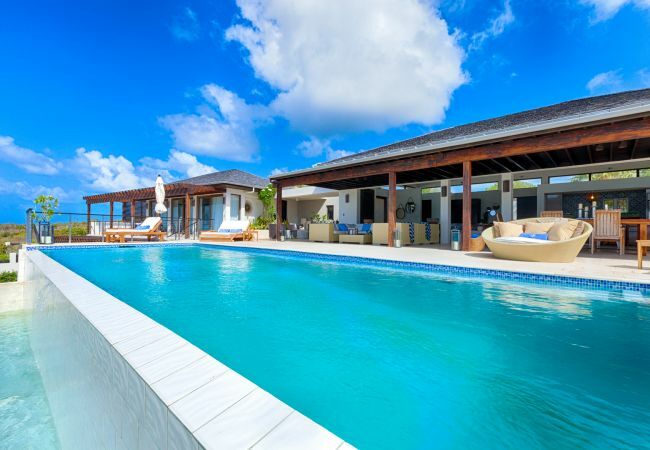 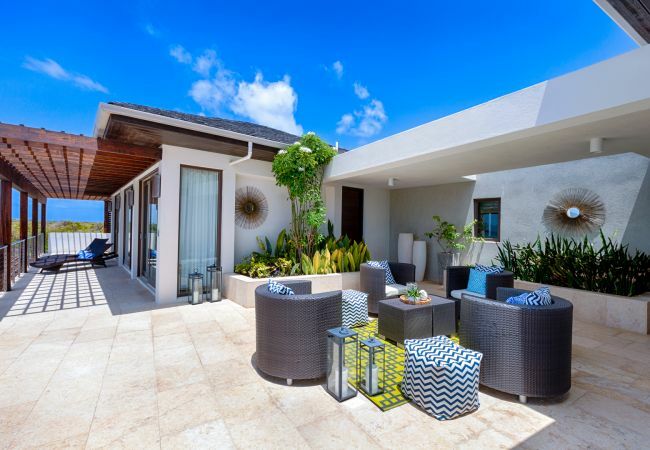 This very spacious contemporary West Indian style 6 bedroom villa sits on a slight landscaped rise overlooking the Caribbean Sea and the mountains of St.. Maarten beyond. 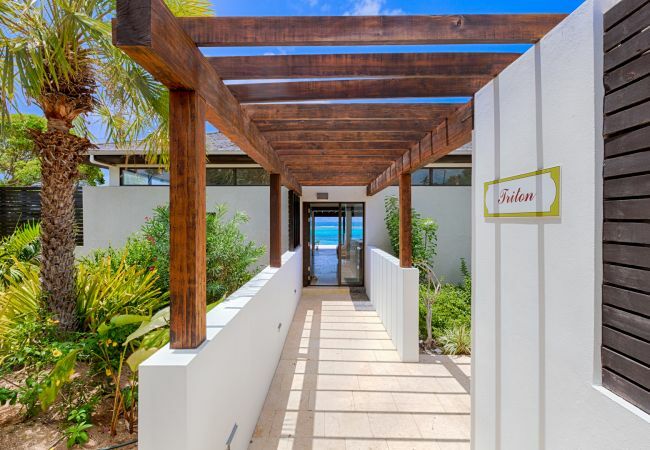 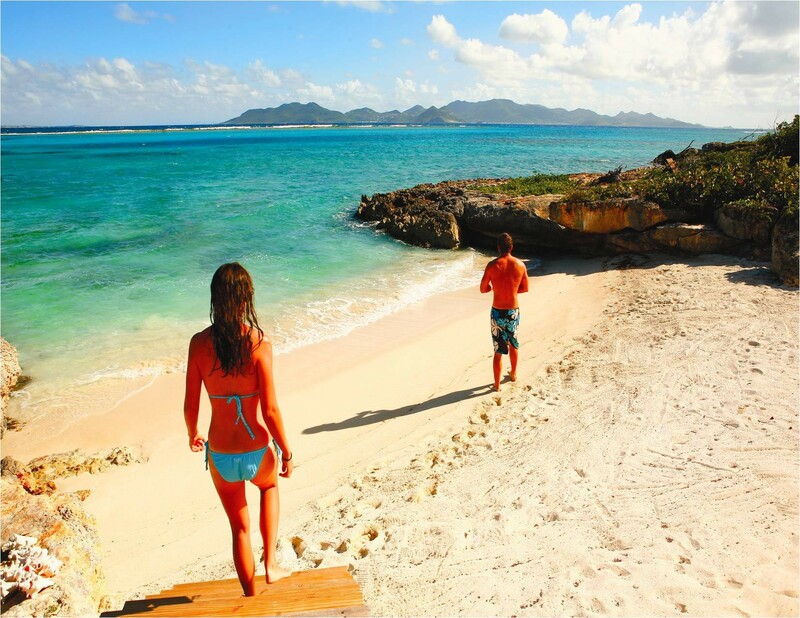 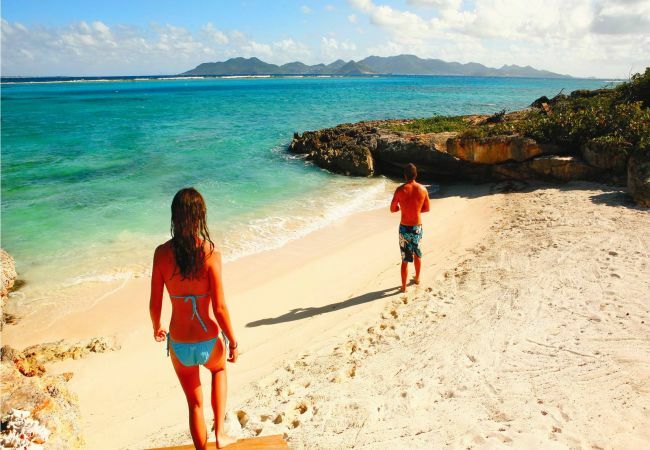 TRITON has direct access through their own short private pathway to a cove with good gentle water which is protected by an outer reef. 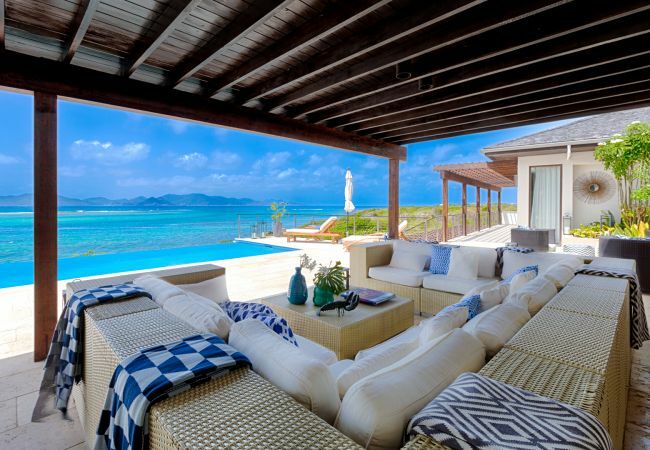 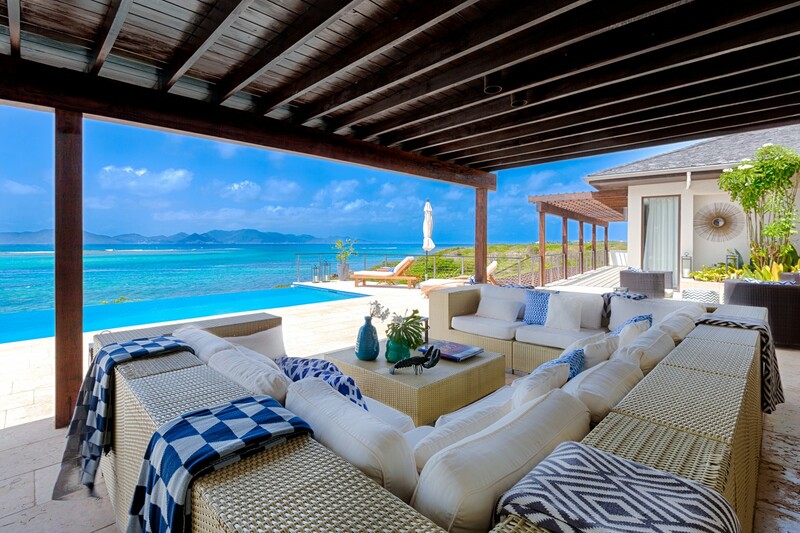 Beach chairs, umbrellas and day beds are available for the guests use. 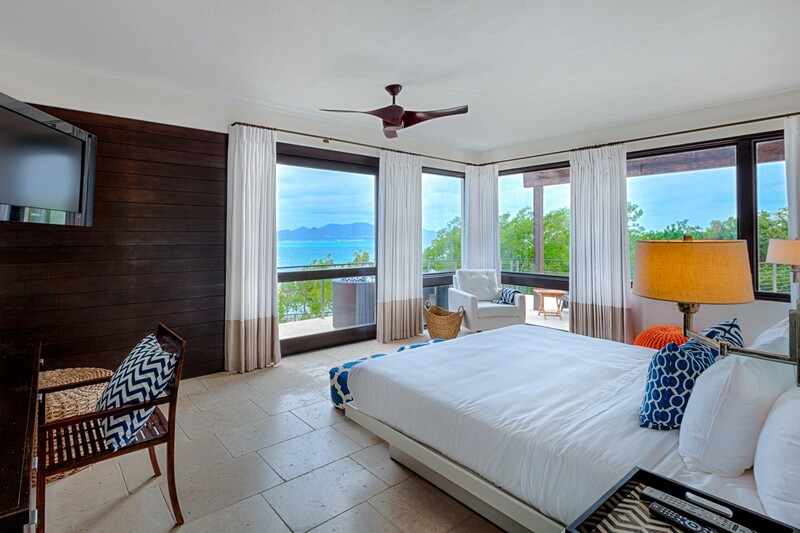 On the main first floor can be found two master bedrooms with magnificent views in separate wings. 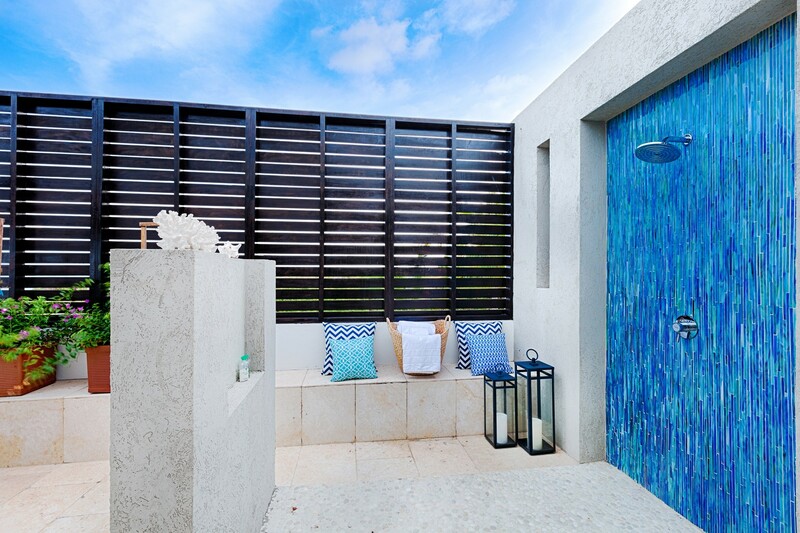 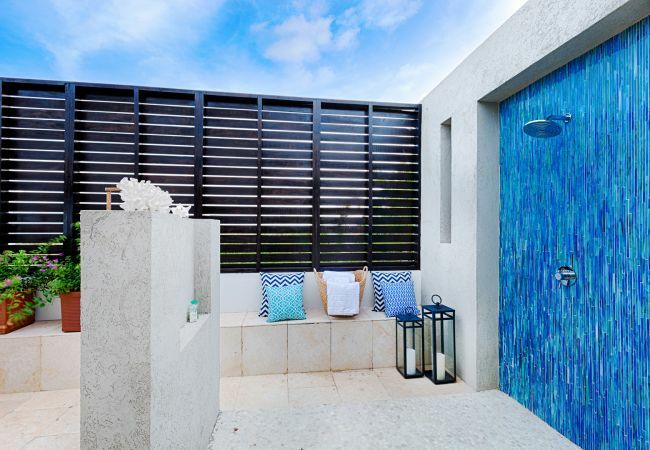 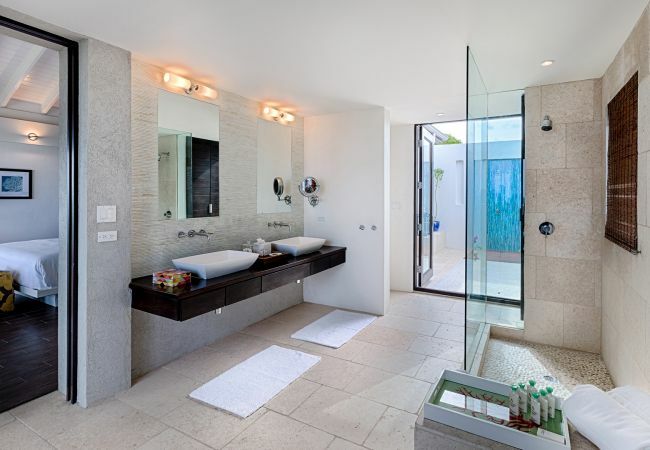 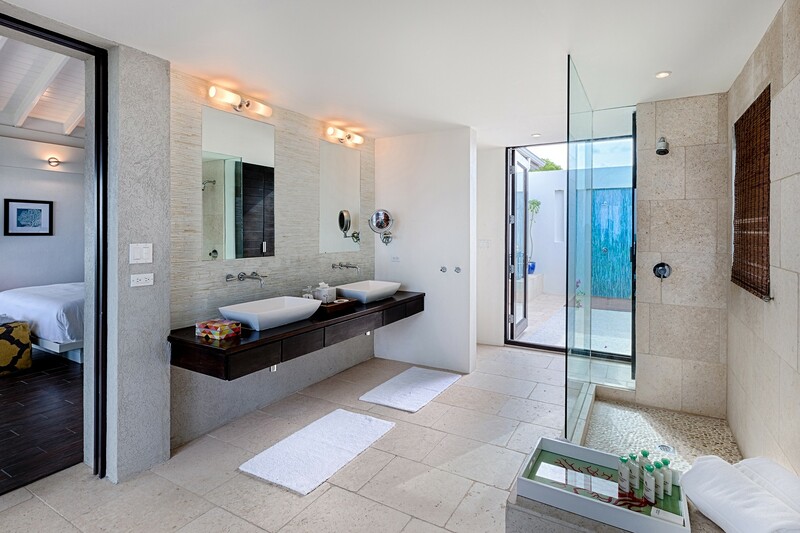 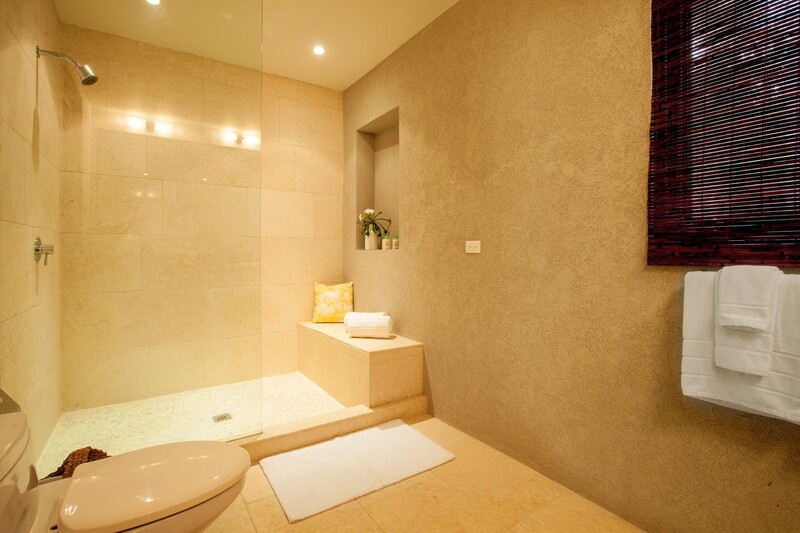 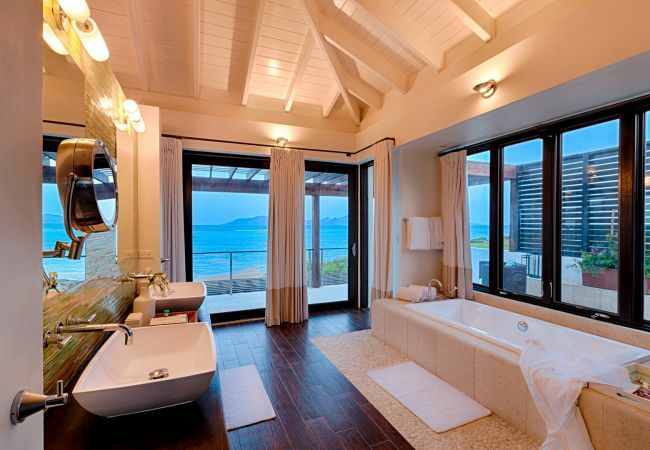 Each with full en suite bathrooms and large outdoor showers. 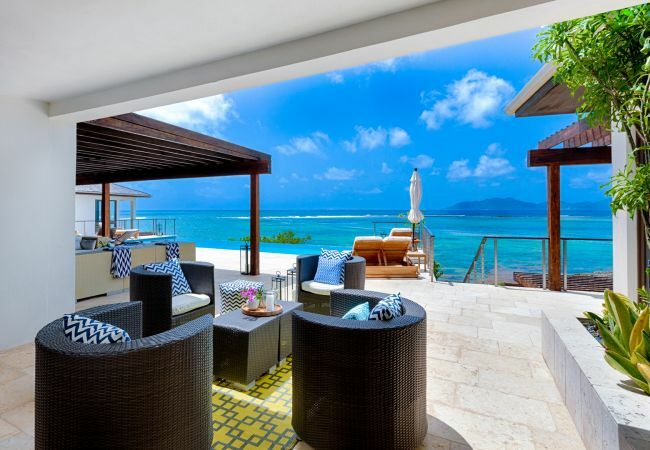 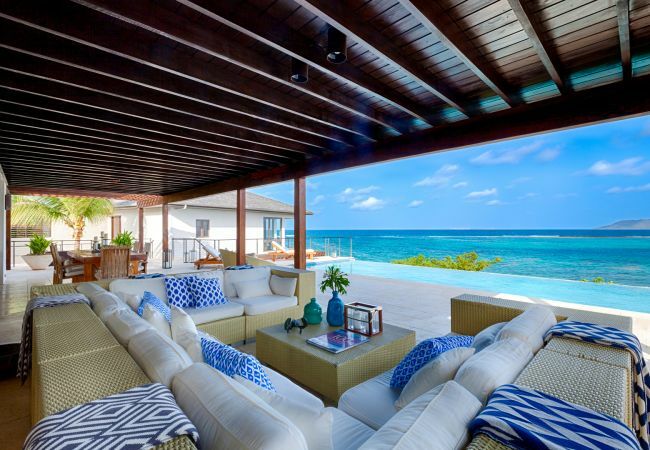 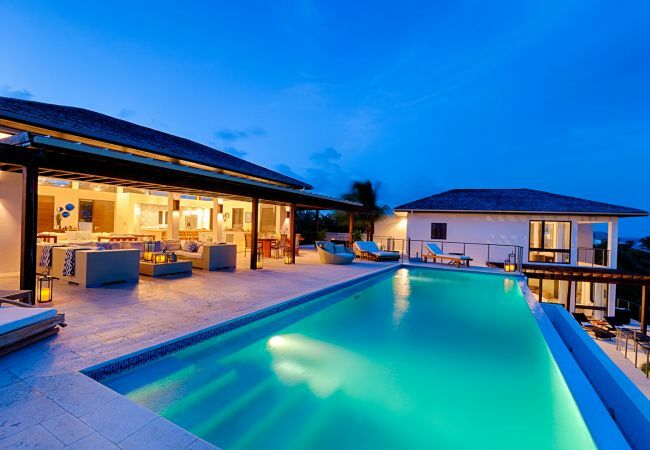 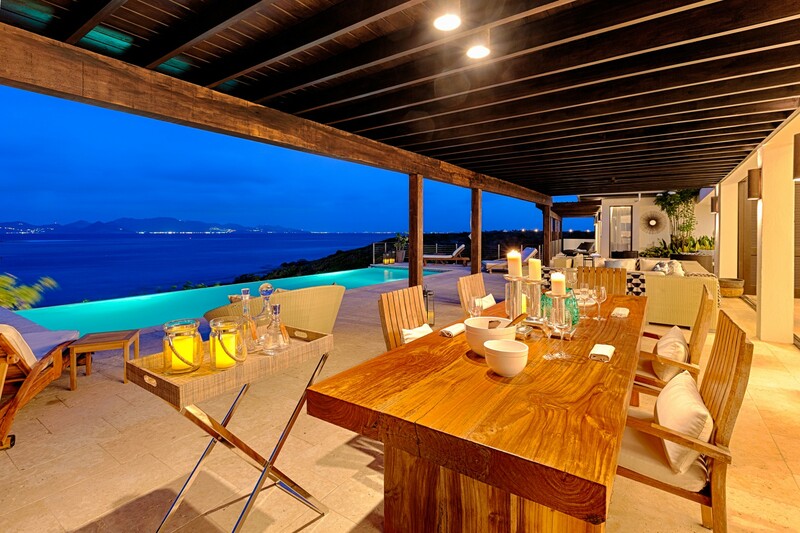 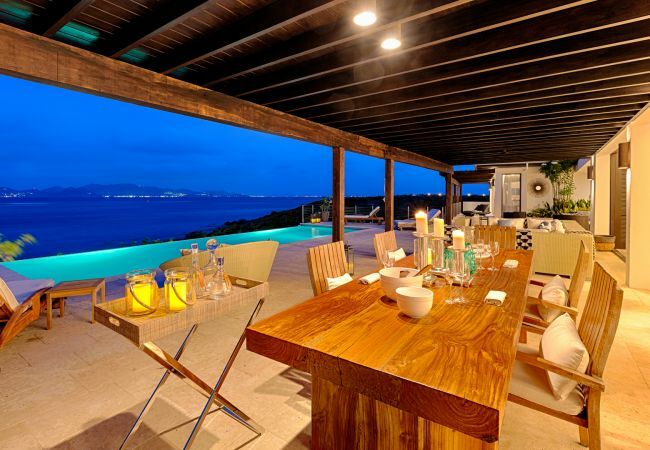 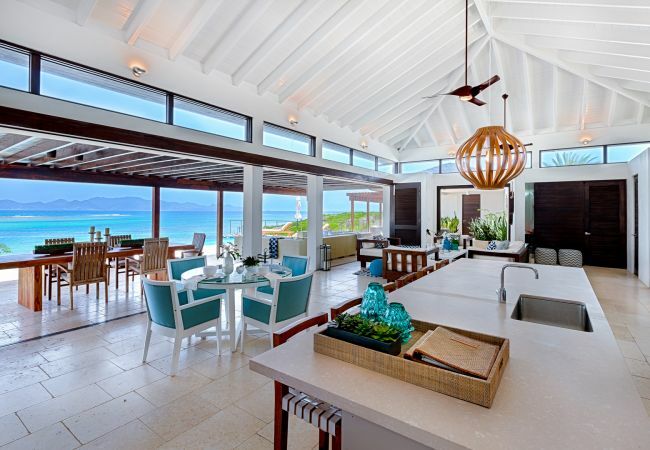 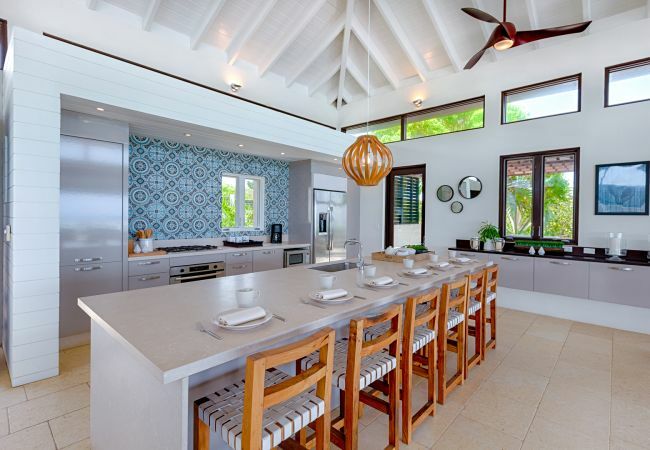 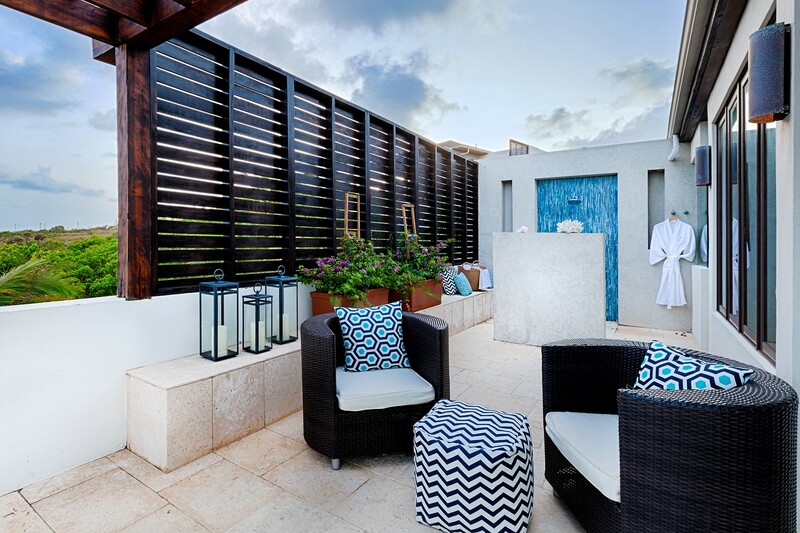 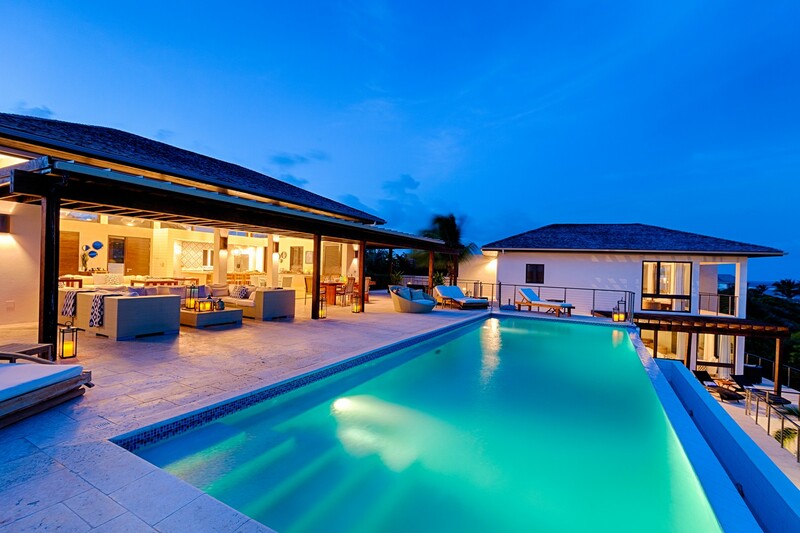 There is a very spacious indoor outdoor living and dining area with full decks surrounding a large infinity pool. 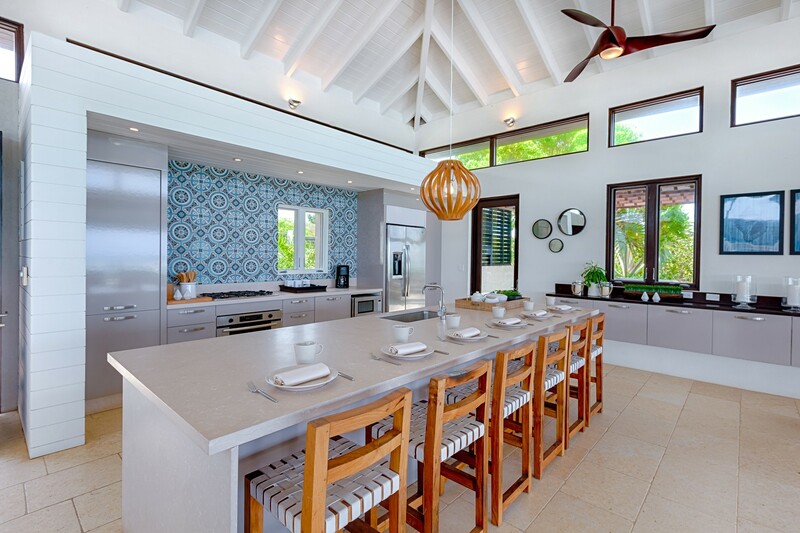 A modern open plan kitchen. 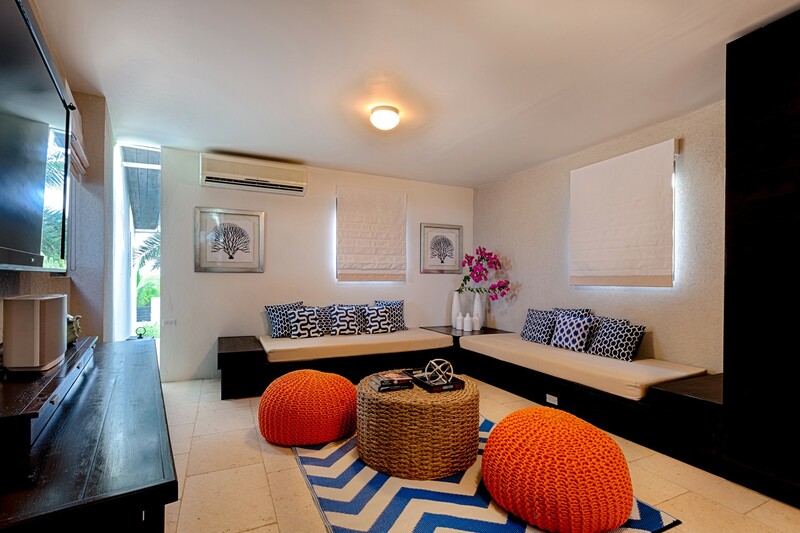 A Media room with comfortable seating with computer and large television, and many videos games including Wii, and a powder room. 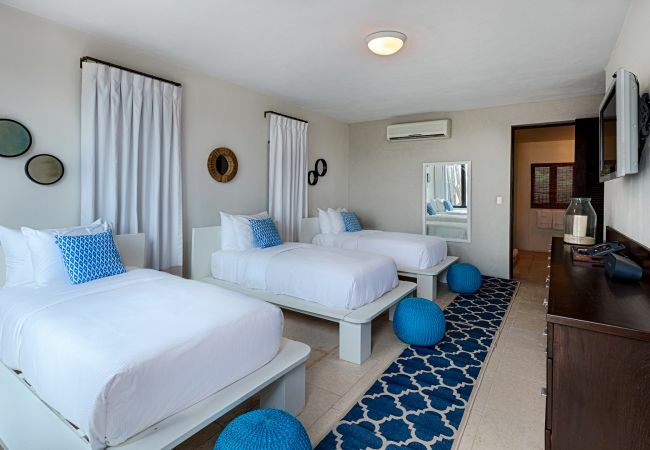 On the ground floor in one wing there is an ocean view mini master and en suite bathroom connecting to a garden view bedroom also with en suite bathroom (this bedroom is particularly good for those with small children). 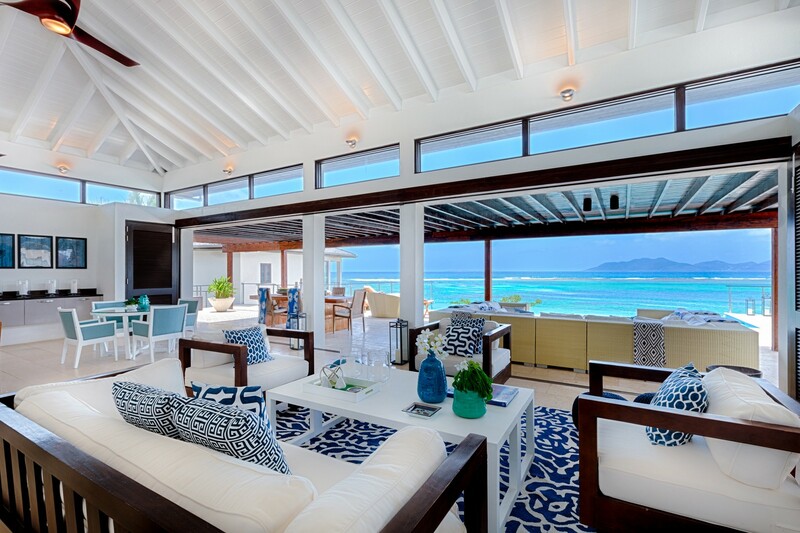 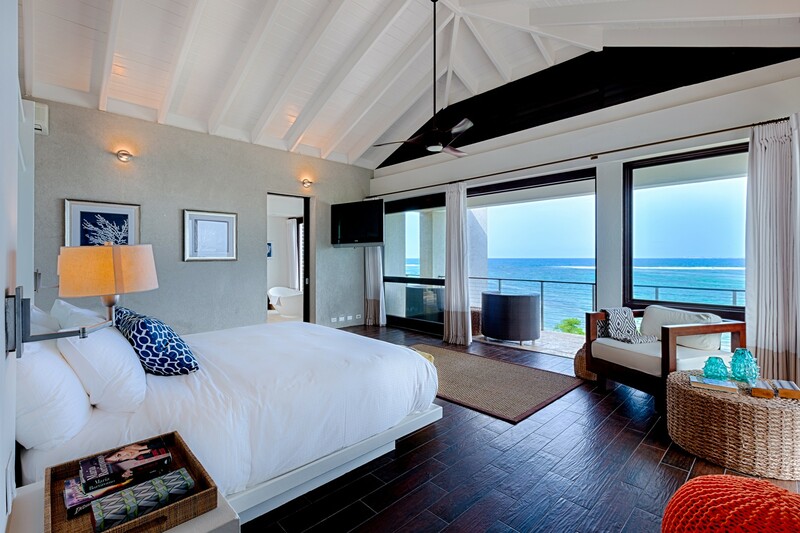 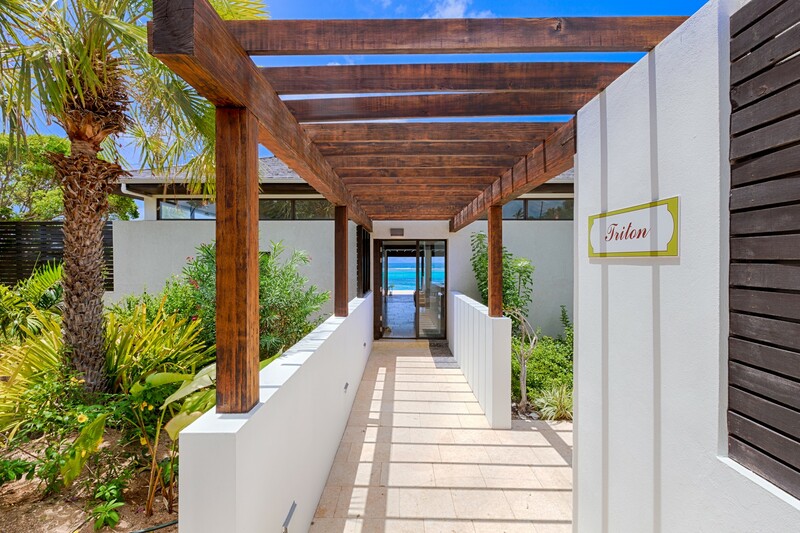 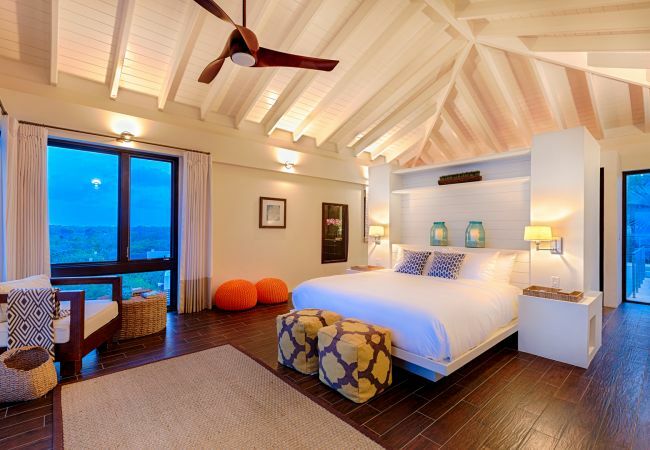 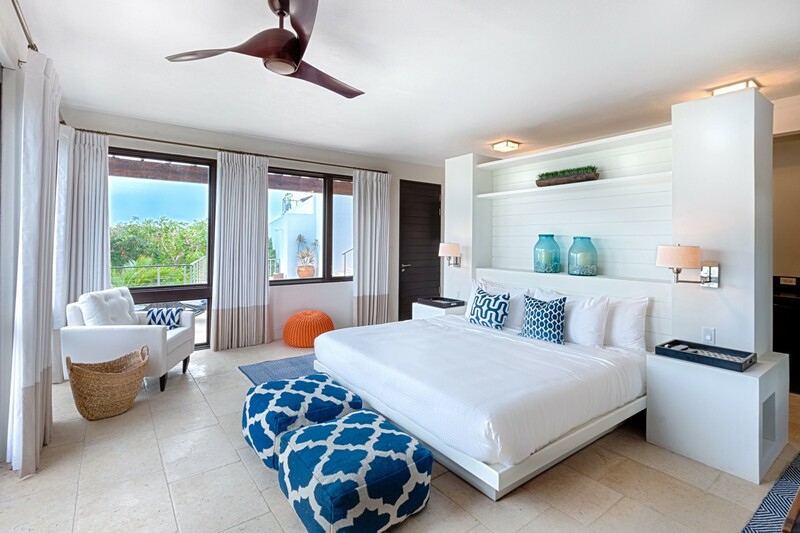 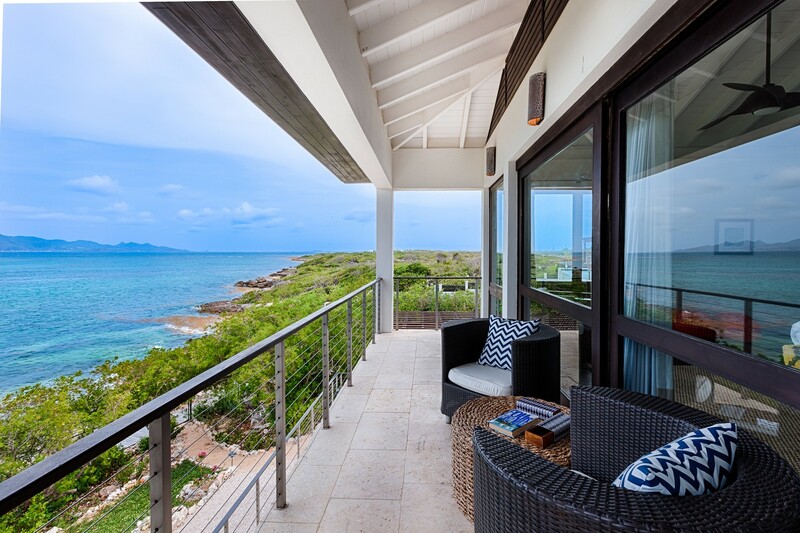 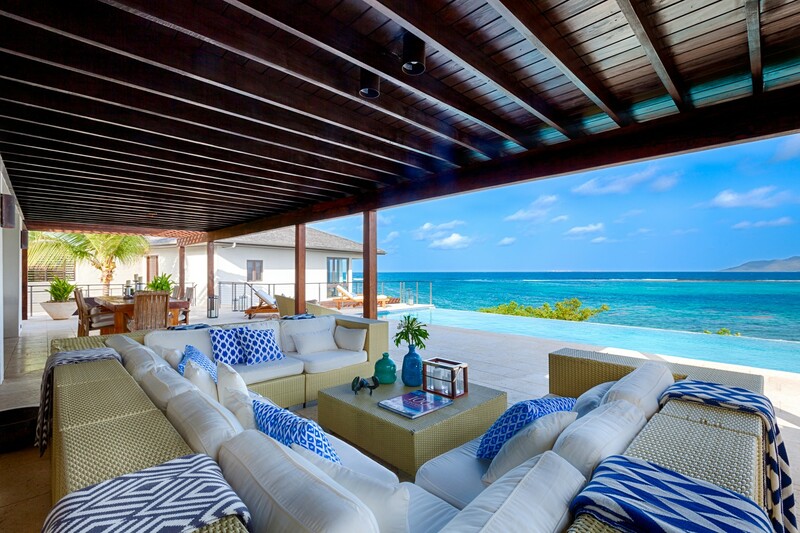 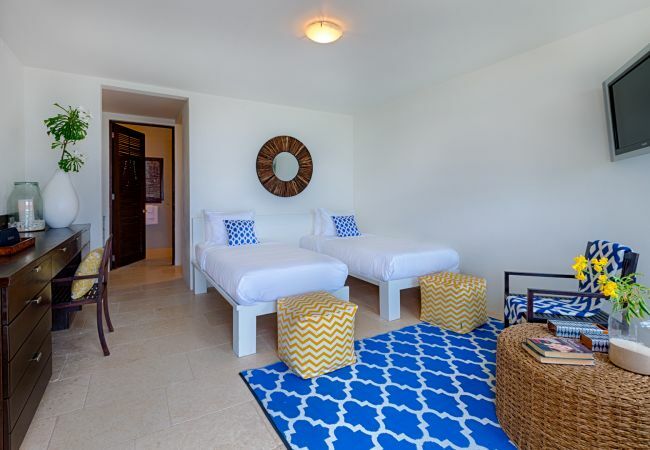 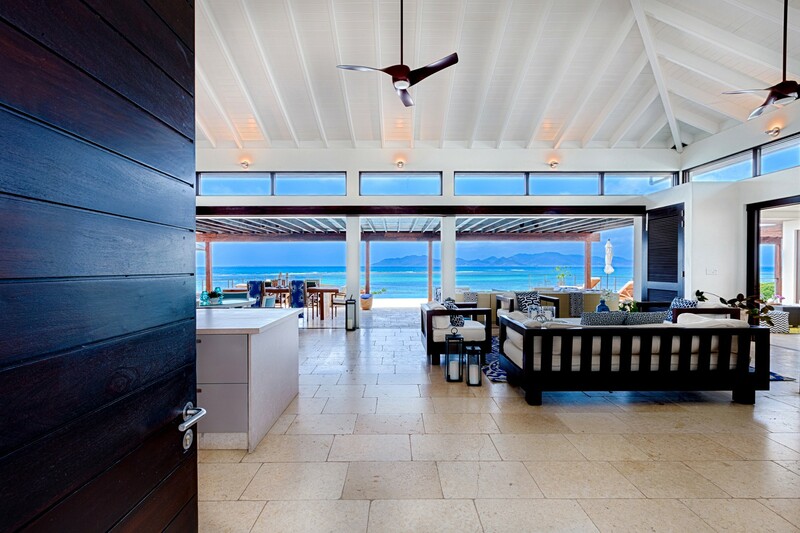 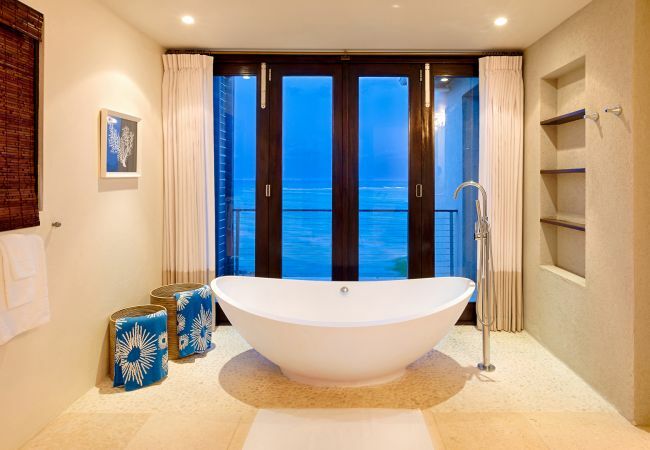 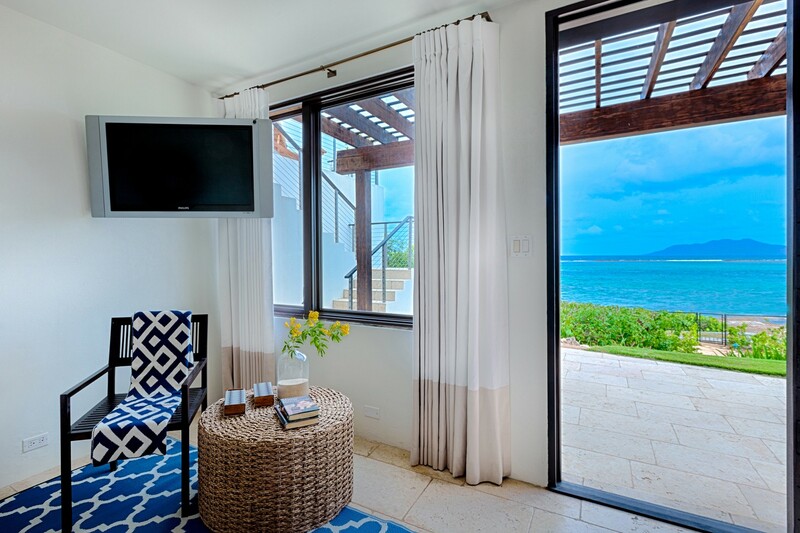 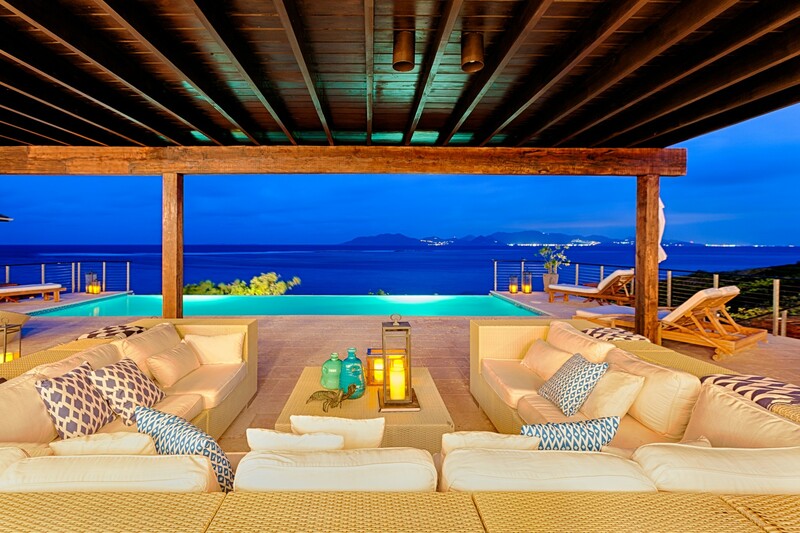 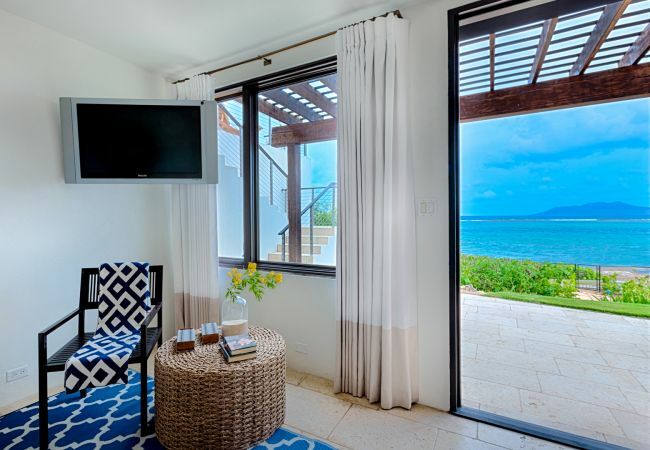 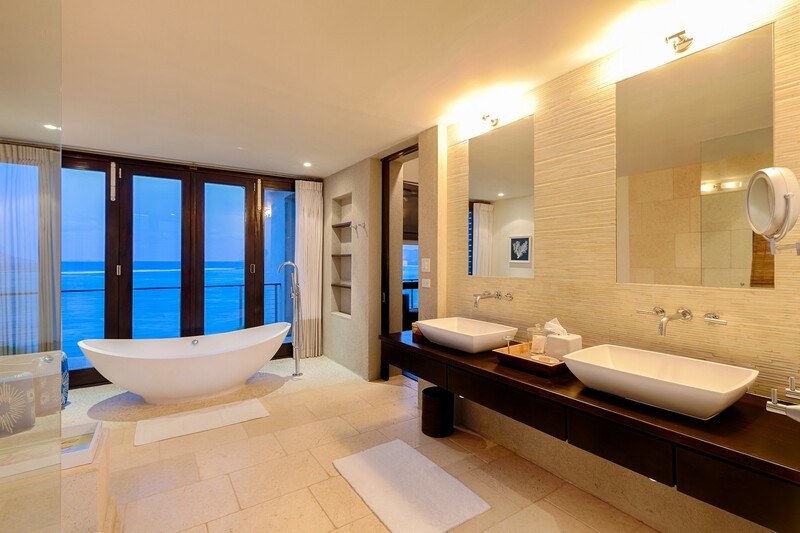 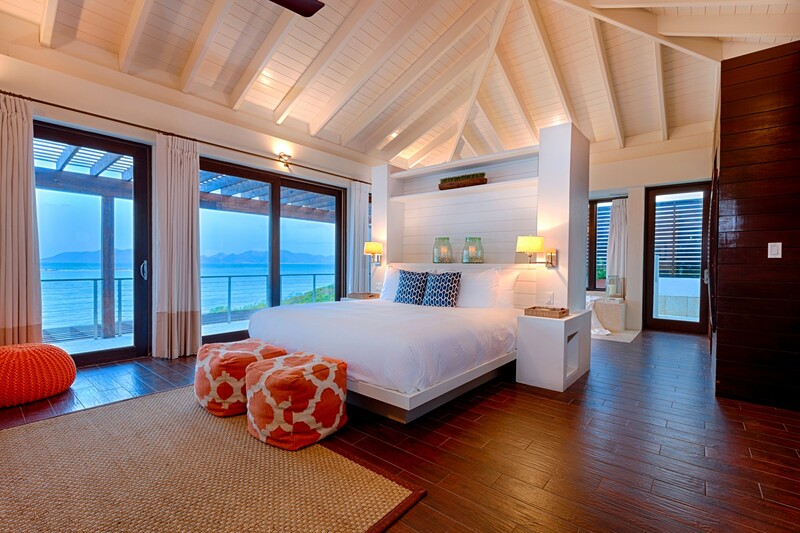 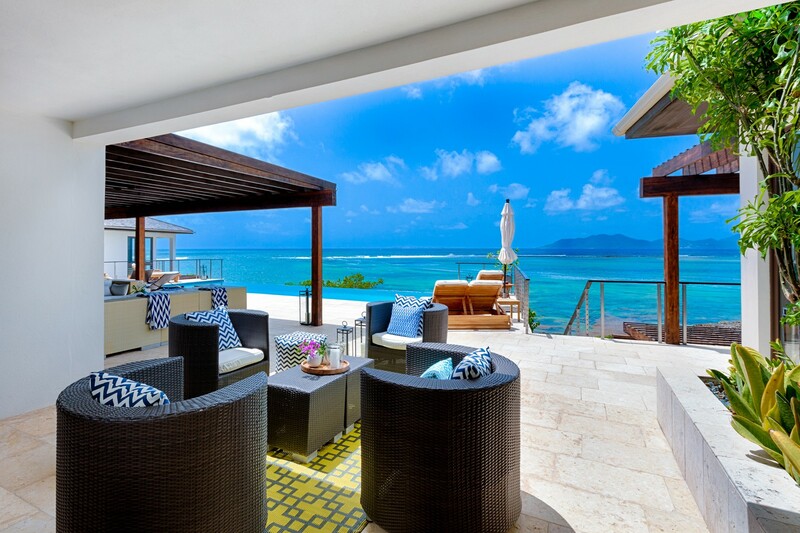 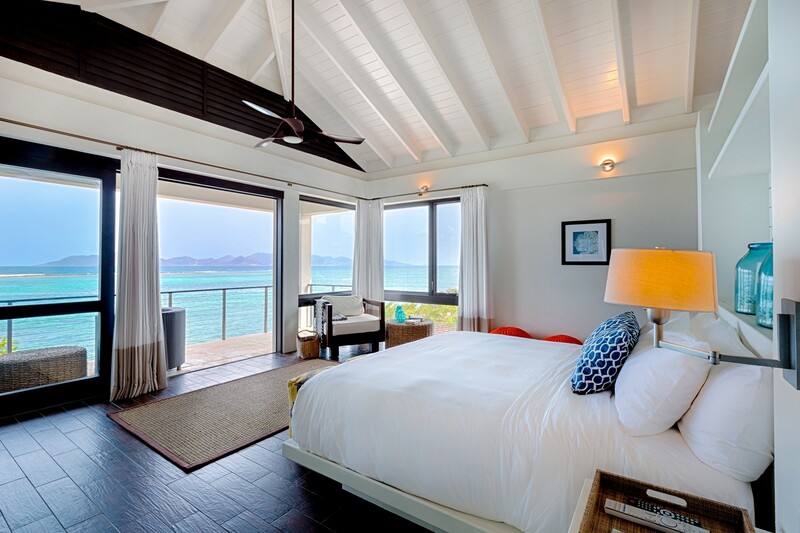 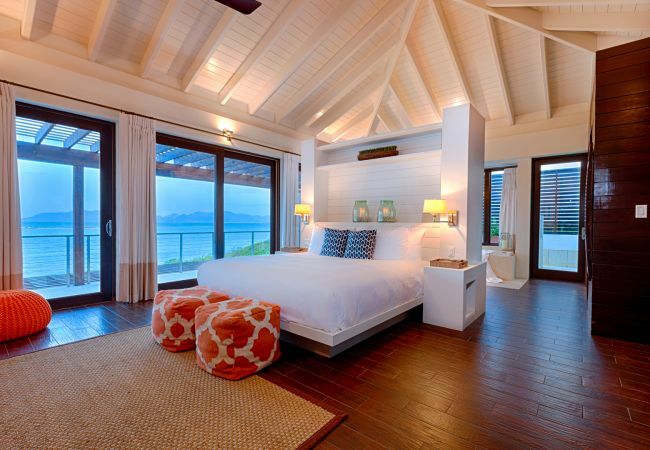 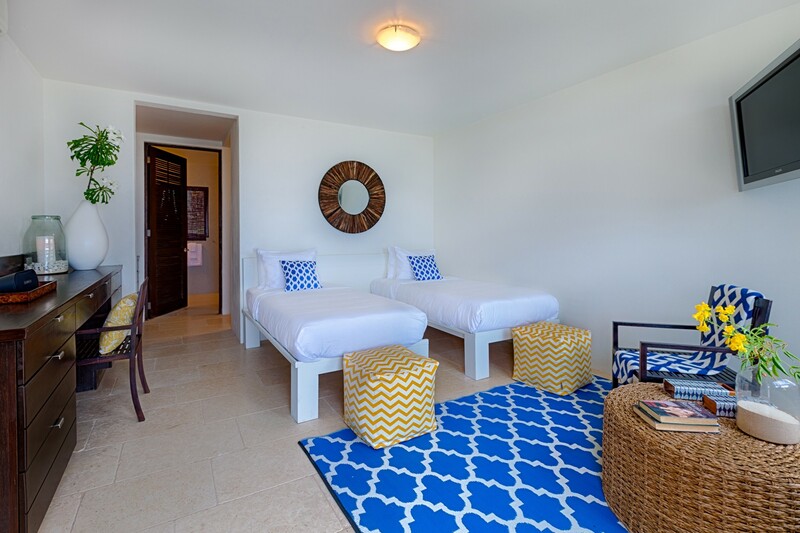 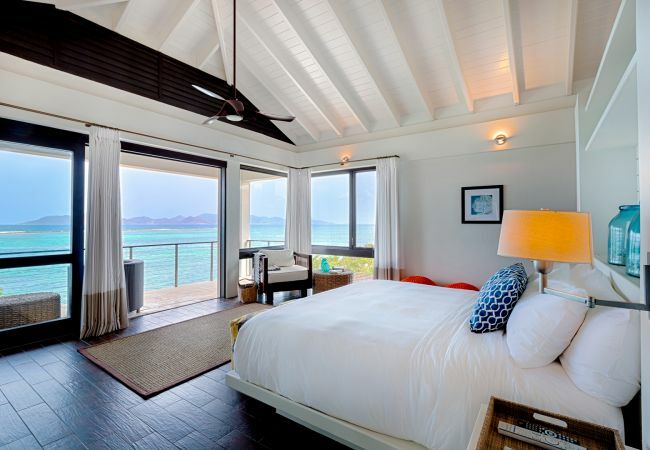 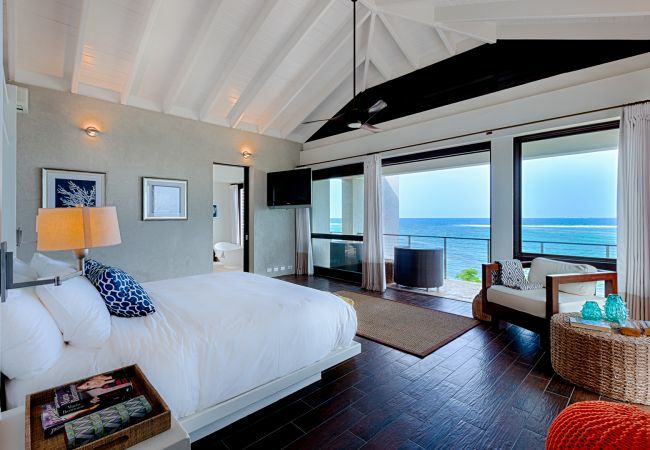 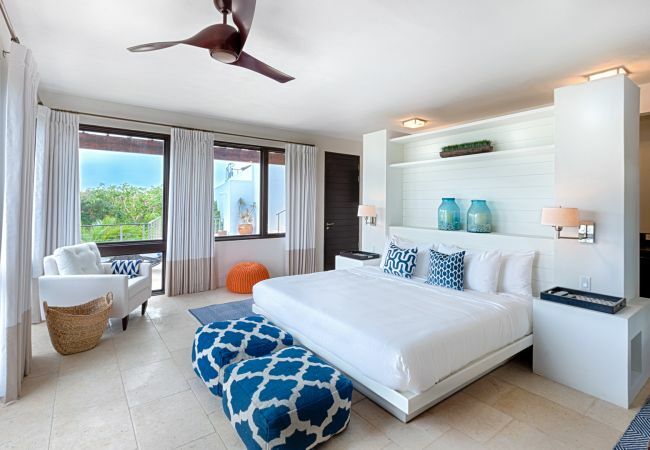 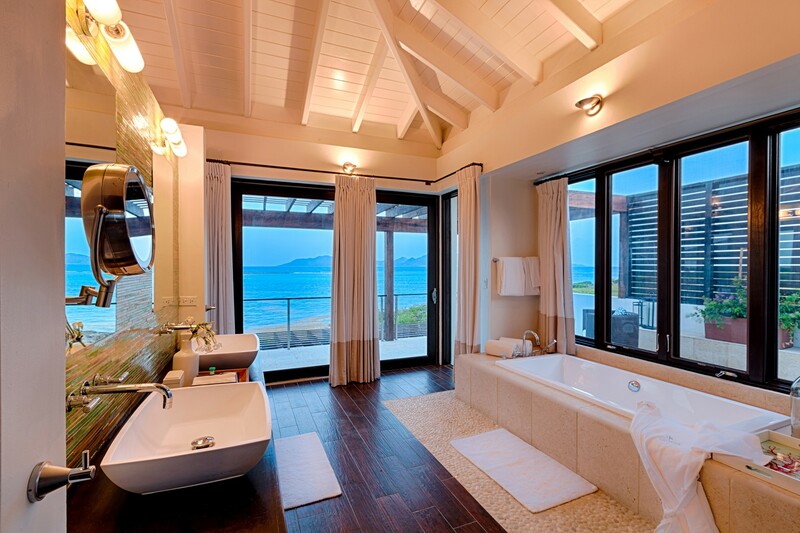 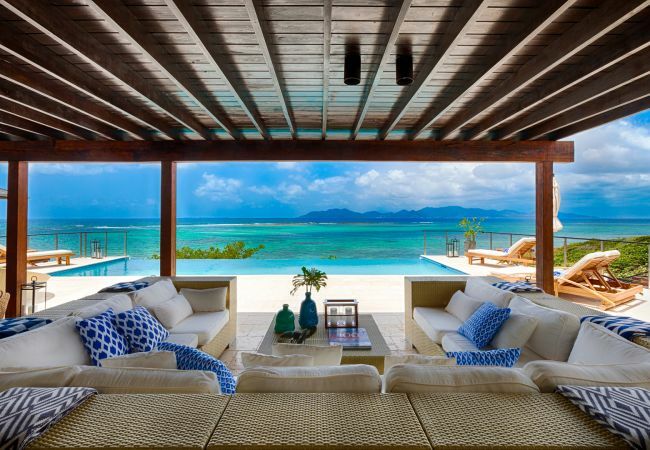 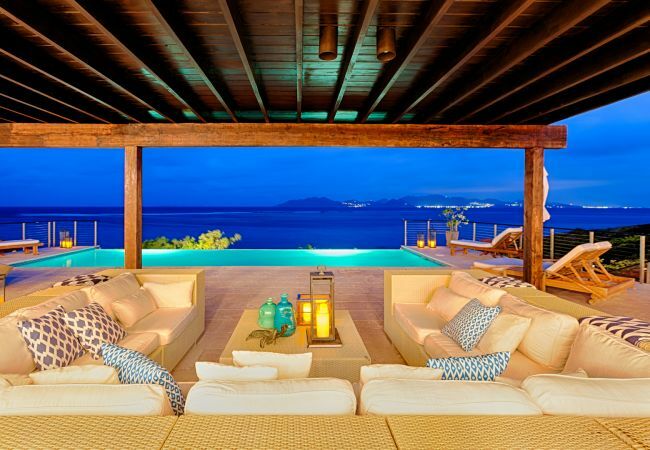 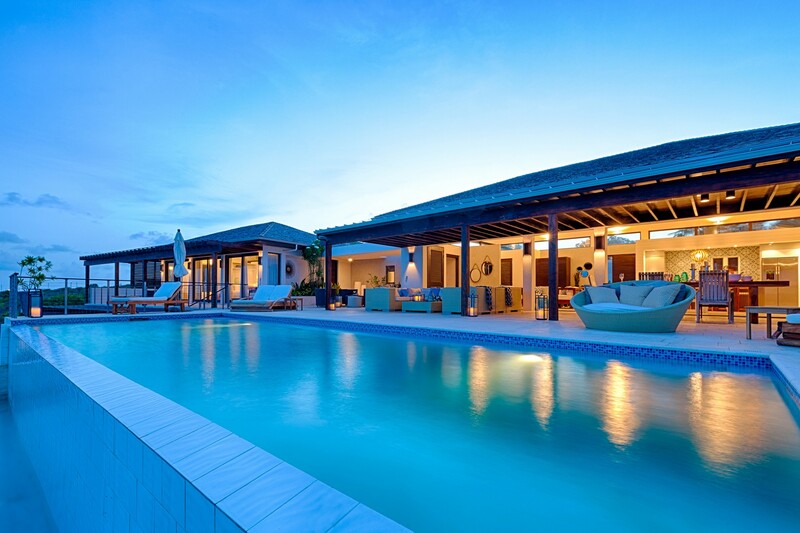 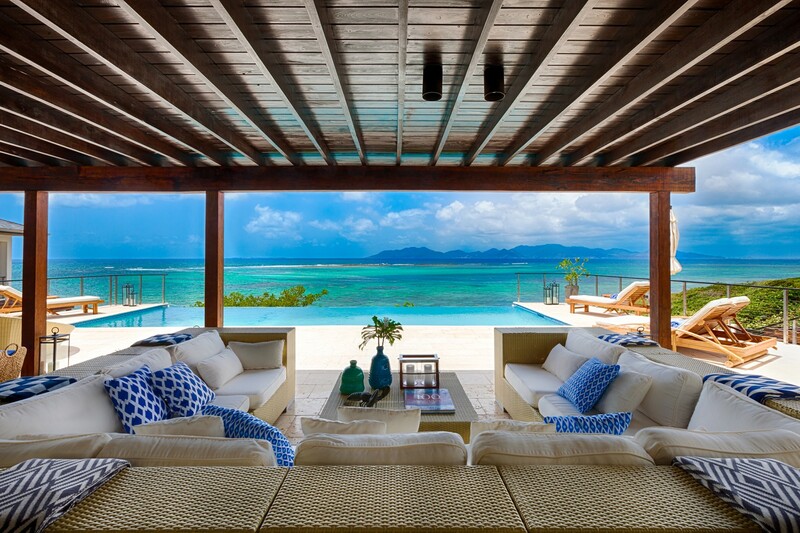 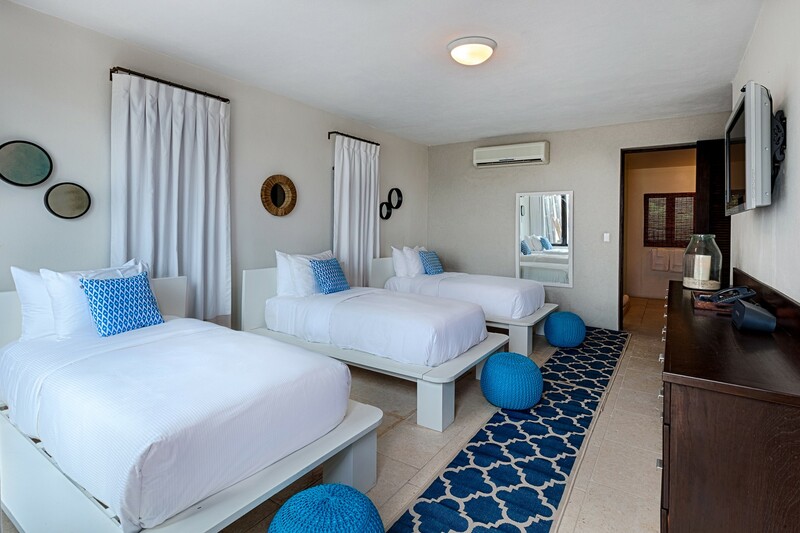 There are two more ocean view connecting bedrooms in another wing of the villa on the ground floor. 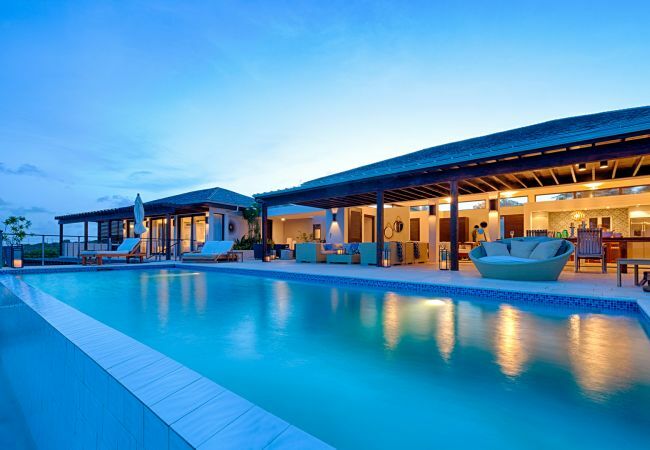 This villa along with the whole of Kamique is wonderful for multi generational families, destination weddings and executive retreats. 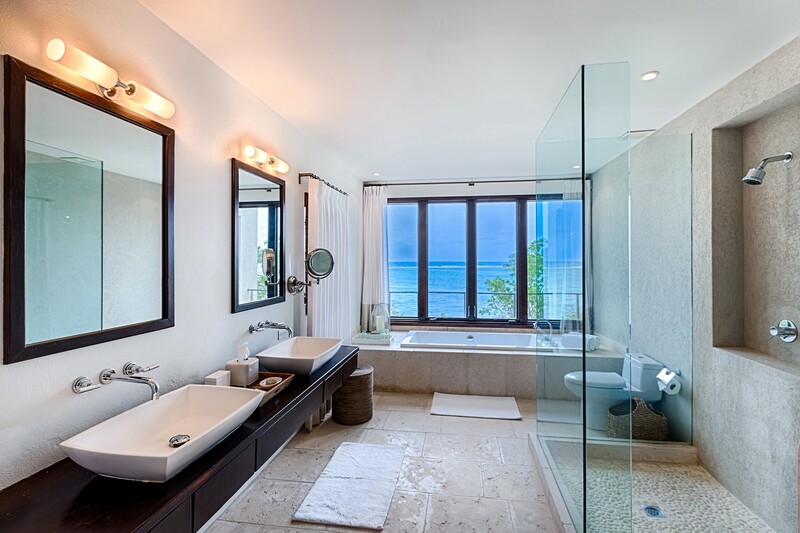 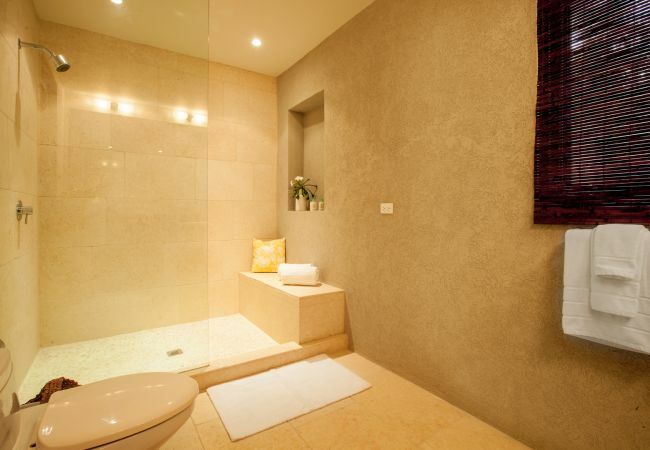 - 3 Bathrooms with shower, Hair dryer. 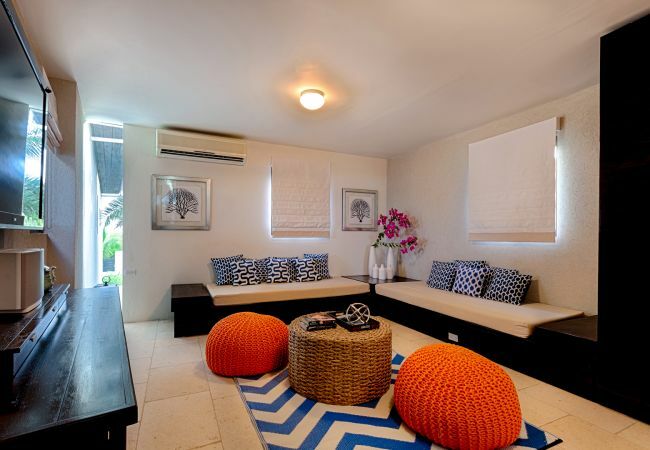 - TV, TV Satellite (Languages: English), Stereo, DVD, iron, hair dryer, balcony, gym / fitness centre, pet-friendly (Dangerous breed dogs not allowed), air-conditioned, private swimming pool, Open-air parking (3 places) in the same building.